In 2017, sales of organic food in the UK reached £2.09 billion. This represents an increase of 7.1% in 2016, with organic food representing around 1.5% of the total UK food and drink market. Consumers are increasingly concerned about the provenance of their food and with good reason. Non-organic food may have been genetically modified, sprayed with a variety of pesticides, fungicides, weed killers, washed with chlorine-based detergents and polished with waxes. The debate about the effect on our health of these chemicals either individually or cumulatively rages on. Just last month Monsanto, producers of Glyphosate weed killer (Round-Up) lost a USD 289 million court case brought against them by a man who claimed Round-Up had caused his terminal cancer. Over the years studies have linked glyphosate to a number of health issues, all strongly denied by Monsanto by their position seems to be becoming harder to defend. So choosing organic helps us to lessen our exposure to the myriad potentially toxic chemicals that find their way into our food. But do we need to buy everything organic? 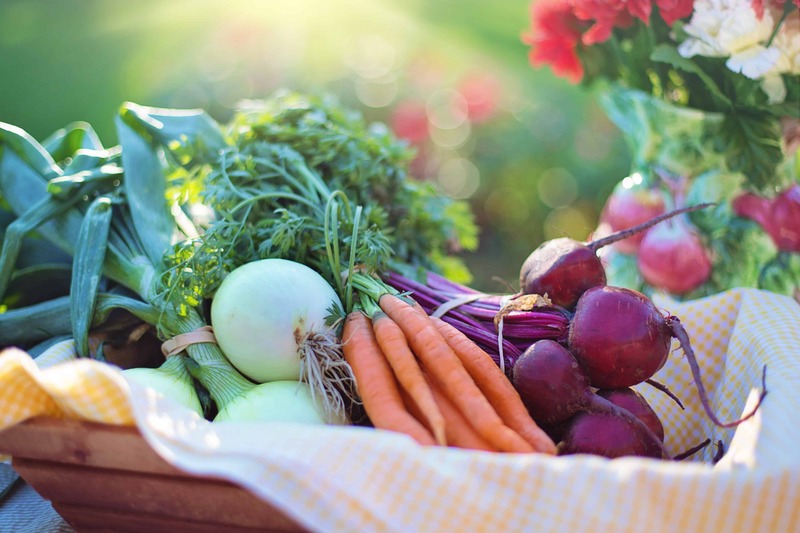 The Environmental Working Group (EWG) publishes a list it calls the Dirty Dozen – those foods that you should always buy organic, and the Clean Fifteen – those that you can buy non-organic. Here at Homefield, we are growing more and more of our own food without chemicals. Our lovely groundsman, Drew, has been supplying our kitchen with spinach, kale, strawberries, squash, courgettes, salads, and our recently planted orchards will eventually supply us with a range of apples and pears. Food tastes so much better when it travels a few yards to the kitchen rather than hundreds of miles, so come to Homefield to enjoy really fresh, chemical free, seasonal veggies and fruit.